Facing competition and innovation in any business can be daunting. And if you work in the automotive industry, then you’re no stranger to change. To keep up with the changing trends, your business needs to evolve as well. Implementing the right technology can make a difference. But it’s not only about the products or services; it’s also about your approach to marketing. Most importantly, you need to attract new customers. You need to focus on identifying their problems, providing solutions, removing obstacles, and making everything as easy as possible. And because the competition is fierce, customers who are not satisfied with your service will find alternates elsewhere. Are you looking for methods to keep your automotive business at the top of the game? 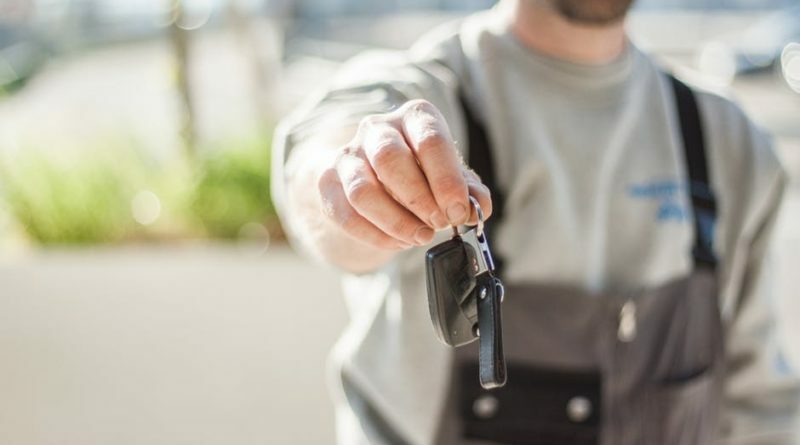 Here are seven tips to help your car buying business stay relevant in today’s high-tech world. Blogging: Many companies have experienced growth after including blogs. In fact, businesses claim that blogging has led to 126% increase in lead growth. It also gives a boost to their search rankings. In your line of work, you need to create consistent, useful, relative posts that showcase your expertise and help resolve common issues that customers often face. Create a Google Business Profile: Creating an account and updating your profile can help you stand out and bring in customers by enhancing online visibility. When people look for online car buying companies on Google Search or Maps, searchers will find the most accurate details, including contact information, physical location, and hours of operation. Similarly, claim online profiles on social media, review sites, and other business listings. Brand recognition on multiple platforms: You need to take control of your online reputation. The business name or brand, logo, and color schemes should standout and become instantly recognizable. Make sure to maintain a consistent standard across all platforms. If you don’t provide anything of value to your customers, all the social media profiles or email campaigns in the world won’t make your business relevant. You need to come up with engaging content. Statistics show that 78% consumers believe that custom content is an indication that a business intends to build a long-term relationship. As mentioned in the previous point, come up with ideas or answer questions that customers have regularly. Blog posts should cover a variety of topics such as oil change, tire maintenance, financing options, etc. And if some questions require in-depth information, you’ll be able to create long-form content. But if you want to take it to the next level, develop a white paper, FAQ section, or an eBook that offers exclusive content either to email subscribers or as a free download on your website. Also consider producing videos demonstrating basic DIY repairs and maintenance such as changing the oil, air filter, or windshield wipers. Even with advancements in technology, people prefer to interact. You need to make a personal one-on-one connection to potential customers. Here are ways you can build loyalty and trust. Social Media: 65% adults use social networks. Therefore, utilize social media accounts as broadcasting tools as well as platforms to connect with people. Build a positive image of your business- respond conversationally to add a human touch. Blogging: Providing relevant topics of discussion is one way. But add a comments section to your blog where you can have conversations and give advice to your customers. Support Desk: This is an easy way to confront problems that customers have. But it’s also a place where you can learn more about customer needs and expectations. As you help resolve issues, positive feelings form, and you have the perfect opportunity to provide customer satisfaction. People are more loyal and prefer coming back for repeat services from companies that have eliminated their frustrations or provided convenient services. Trade Shows: If you want to stand out in the crowd, you’ve got to do something special. Put a face to your business name by meeting and greeting people. It’s one way to be remembered. According to experts, face-to-face meetings help to make a lasting impression. Gestures, tone, and expressions are non-verbal cues that have a significant impact on communication, which can lead up to a great deal. Nearly 90% of the consumers check their email at least once a day. Introduce your automotive business to new marketing prospects through email subscription or periodic newsletters. Since 70% of the people prefer to read relevant emails from their favorite companies, it’s an ideal method to communicate and build a strong relationship. And even if a customer doesn’t advance to the buying stage, it’s an excellent way to nurture ongoing relationships and keep in touch. So when an individual does eventually follow through, and he asks, How can I sell my car? he’ll know exactly where to go. A majority of adults engage on social networking sites. Find which one is the most relevant to your audience. Focus your efforts in establishing yourself on one platform before progressing to others. Remember to post new content regularly because a stagnant social profile will make a wrong impression. Customers may doubt whether you are open or are a reliable car buying company. Wouldn’t it be remarkable if you could merge email with social media? You could multiply your customer outreach. Incorporate email forwarding and social sharing icons to your email newsletters. Current subscribers can share your content on their personal networks. You can also utilize social media to recruit news subscribers by implementing Facebook CTAs or Twitter lead generation cards. If you really want to improve your marketing strategy, you need to pay attention to everything, especially the results and customer responses. Correlate data gathered from Google Analytics, online reviews, social media comments, and email campaigns. Highlight any negative feedback and focus on these to improve your strategy. With the right marketing automation, you’ll be able to understand who’s searching for what and where. And don’t forget, you need to provide accurate, reliable, and up-to-date appraisals for online car valuations. Even with the right features, an online business -especially a car buying one- needs to rely on the old word-of-mouth routine at times. People instinctively trust recommendations provided by friends and family more than any other type of marketing. You need to get happy customers to spread the word. Ask customers to provide reviews, ratings, or feedback. You’d be surprised how willing they are to give referrals- it’s a matter of simply asking them to. Whether you create a referral program by personal interaction, via email, or through social media, don’t miss out on this opportunity. It’s an ideal way to provide extra incentive to customers.